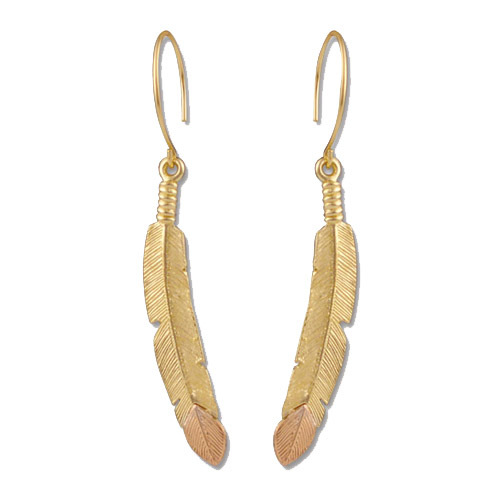 Desc: Landstrom's Black Hills Gold feather earrings. The feather dangles from shepard hook pierced earrings. The feather is yellow gold and the tip is rose gold. The texturing is detailed on the feather. These earrings are made in the United States of America.